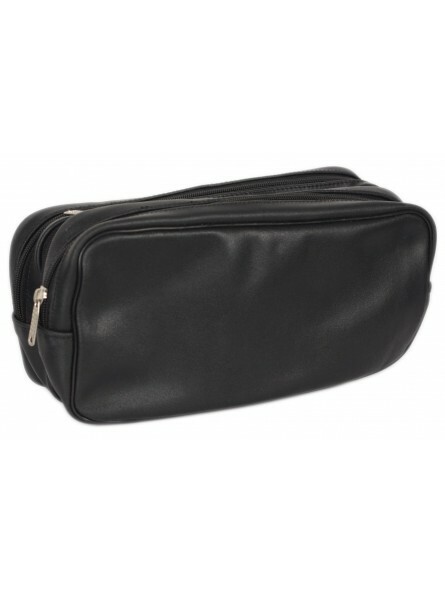 Epsilon Black Leather Men's Wash Bag. 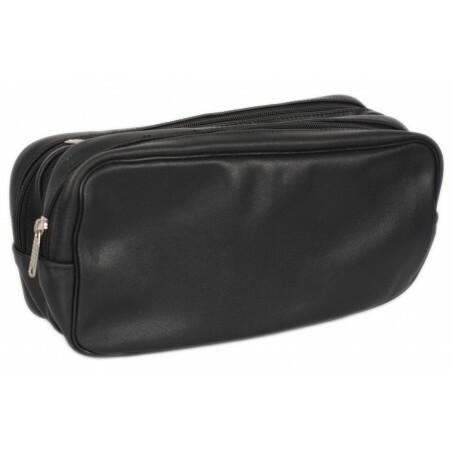 This leather wash bag has two compartments both of which have independent zips. An additional zip is available allowing you to open the wash back "like a book"(see picture). This is very convenient when packing your wash bag for your luggage. You can conveniently open it, split it in two parts and make it fit more comfortably. Ideal when travelling to keep all your grooming tools in order and well-protected.